In addition to being in the perfect locale in Melbourne City, Birrarung Marr is a perfect kids playground of fun along the Yarra River. 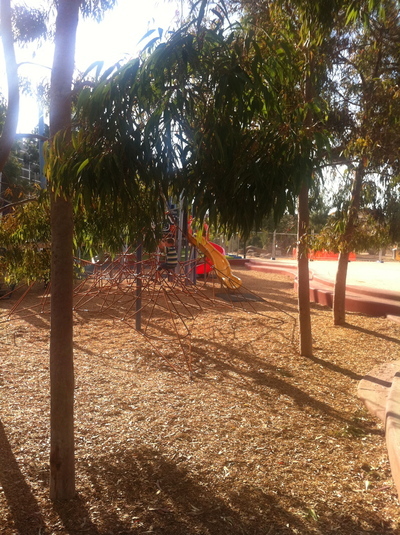 Even better, this popular park is right next door to Federation Square. Situated on the North Bank of the Yarra River, this is one of Melbourne's newest parks, nearby other parks of historical fame. Since 2002, this playground of paradise has continued to delight. Any child would feel a little spoilt for being able to play right along a harbour. A fairly ideal space for a BBQ or a picnic, hence the facilities surrounding such activities here can be put to good use. However, the little ones feel settled in with the kids artwork statues upon entrance to this purpose built space. 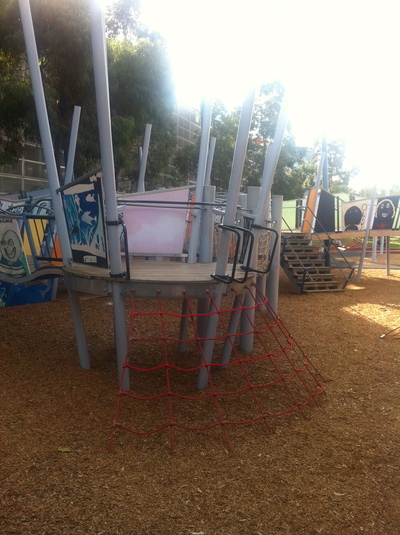 These sculptural pieces of art gives little Melbourne permission to climb, swing and play with the sand to name. 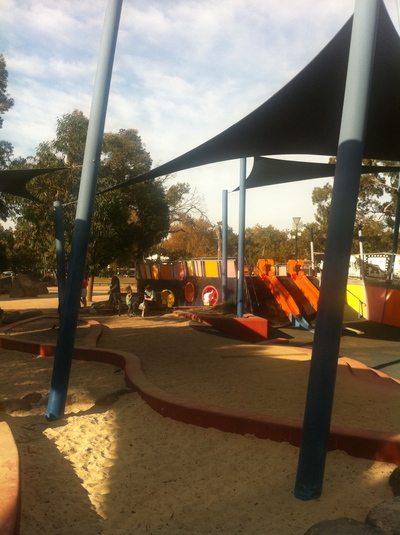 Equally as clever, the playground has been provided with protective covers in case of raIn, and to ensure that your little ones do not get sunburnt. A little sanctuary of play, and parents it is easy to forget that you're only a short stroll away from the trams, trains and even the Casino on the other end. Naturally, the pathway along the banks of the Yarra attract runners, walkers and bike riders, who encompass the perfect backdrop to the play equipment. 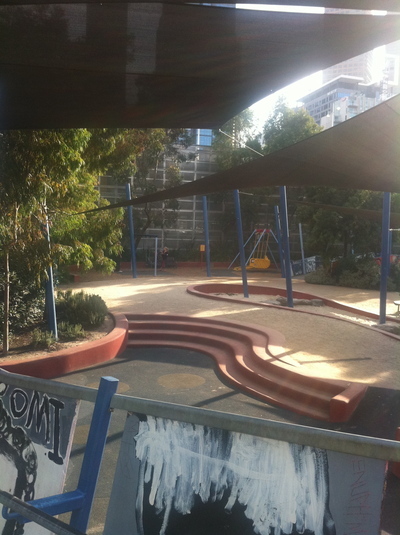 Birrarung Marr is also home to ArtPlay, a place where the Kids of Melbourne can also engage in different art courses, held at different times of the year. This fantastic and innovative space as a kid friendly destination is also home to the Federation Bells that ring intermittently three times a day. 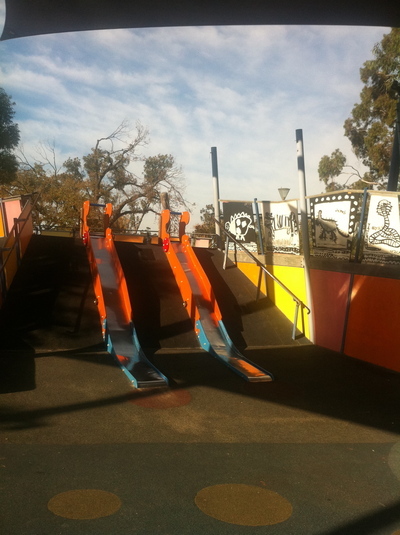 If you were to read any review on ArtPlay, it is a given: the parents of Melbourne love this space as equally as their child/children do, and few also comment on how lucky they are to be living in the world's most liveable city in accessing such cool playgrounds, intertwined with the art world. A website to definitely bookmark. Remember the colourful Mali statues that decorated the streets of the City of Melbourne in September 2012, in order to celebrate Melbourne Zoo's 150th year Birthday celebrations? At Birrarung Marr, the kids of Melbourne can re-appreciate these pretty pieces of art at ArtPlay here at this kids paradise. Pretty cool.